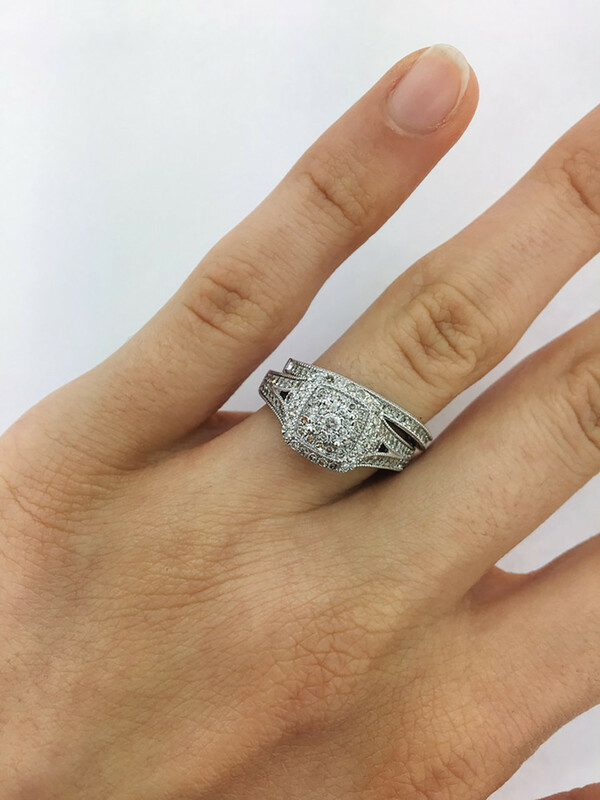 This Cushion Cluster Center embodies its intended shape using round brilliant diamonds the enchant this dazzling setting. 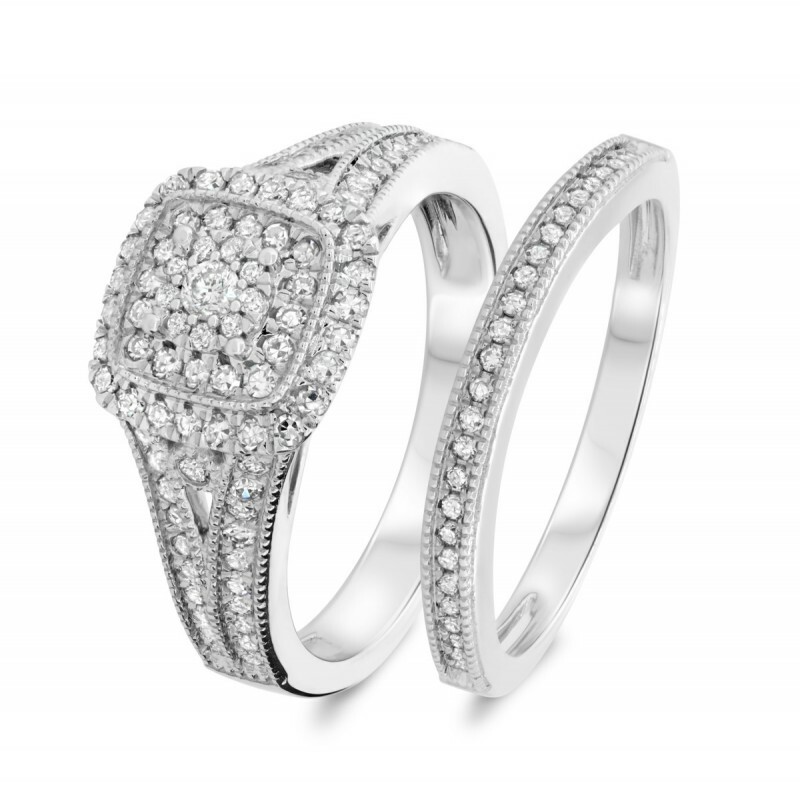 She'll be stunned by this elegant engagement band. 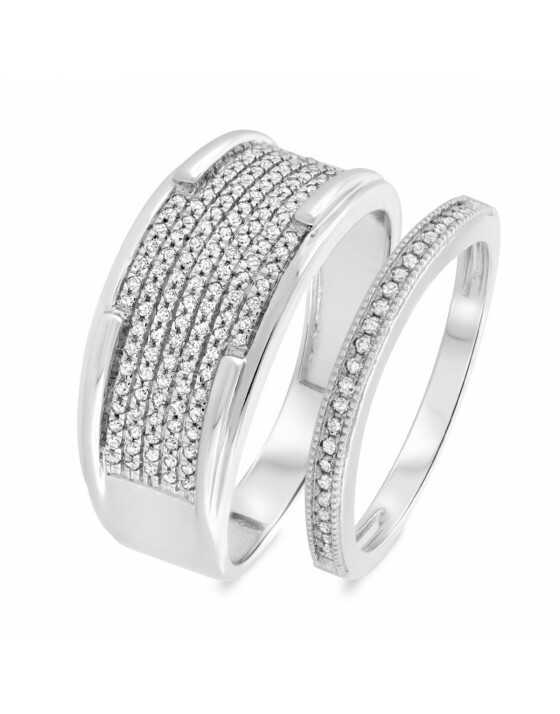 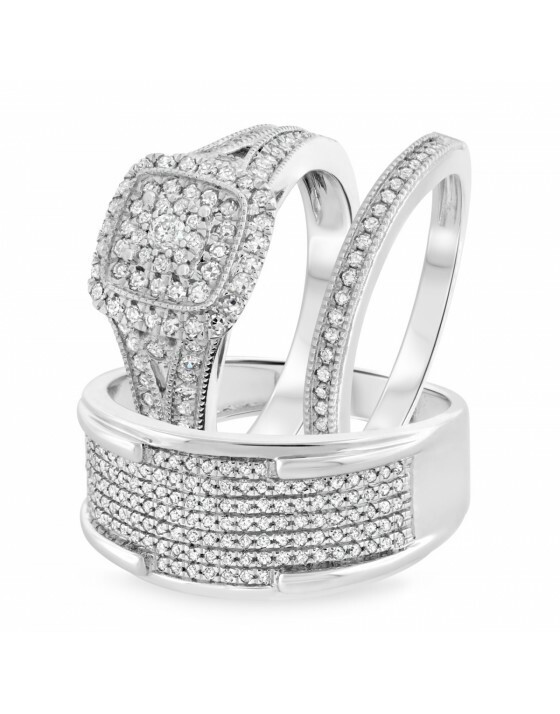 It features an impressive amount of round diamonds covering the cluster setting and the detailed 14K White gold band. 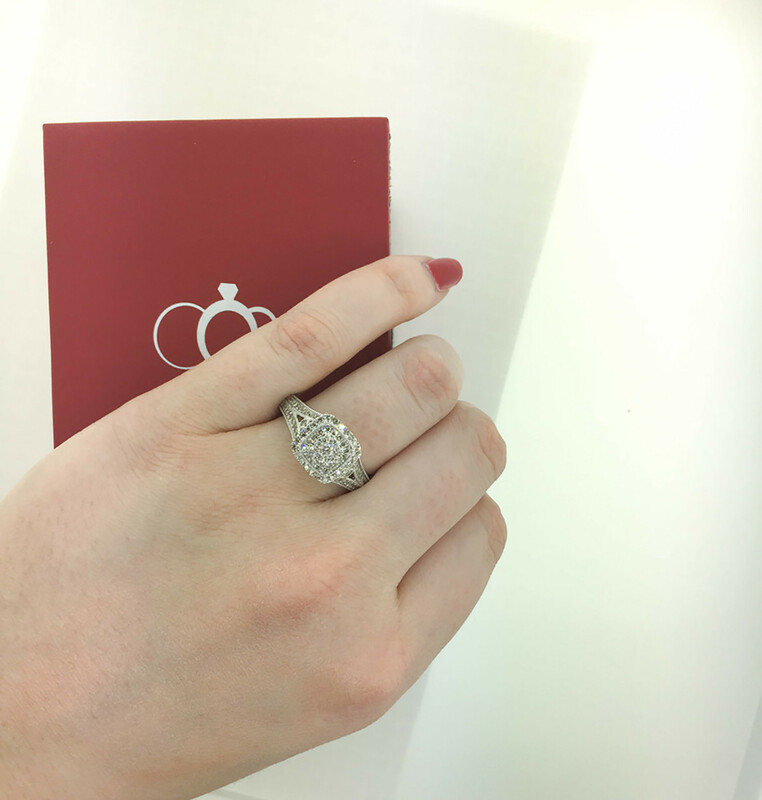 This 1/2-carat diamond engagement ring holds 92 stones in all, which are accented by the graceful style of milgrain detailing in the band. 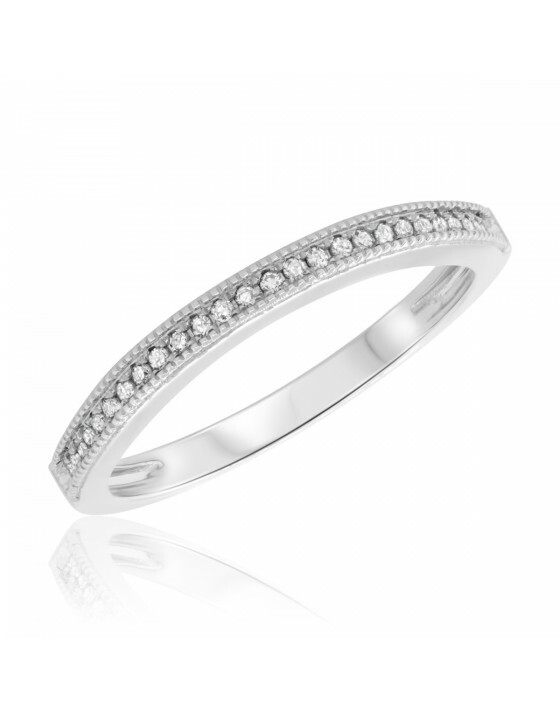 Enhance your engagement ring or display a gorgeous standalone look with this diamond ladies band. 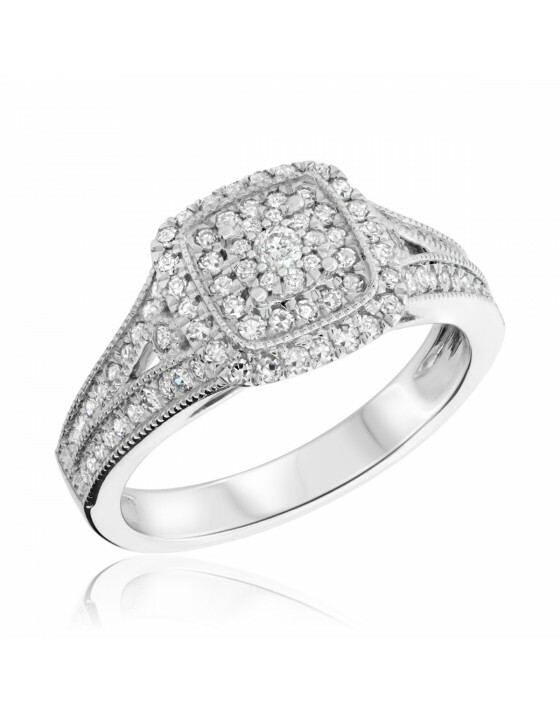 It shimmers with the beauty of 26 round diamonds weighing 1/10 carat. 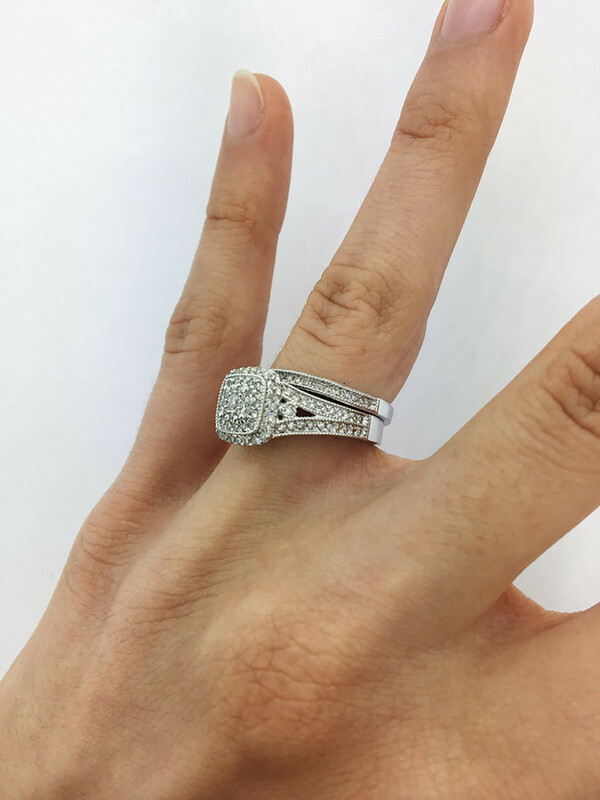 Decorative milgrain borders in the 14K White gold add to the elegance and classic look of this ladies wedding ring.